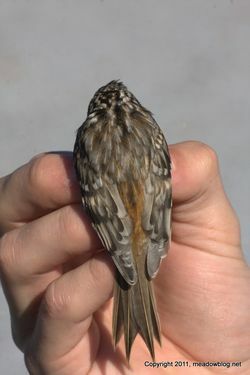 * a Brown Creeper at the Meadowlands Commission's bird banding station. * a look at recent free guided nature walk in Harrier Meadow that the NJMC sponsored with Bergen County Audubon Society. * an American Kestrel — just one of the amzing raptors hanging out on Disposal Road these days.